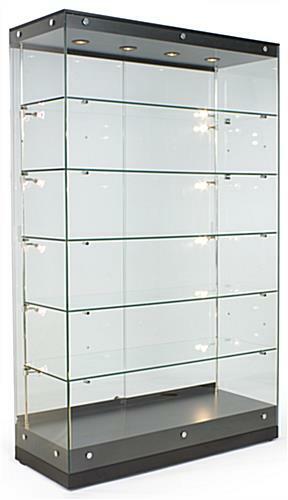 This Attractive Trophy Case From Grace Tyler Is In Stock and Ready To Ship From Our Warehouse Inventories! 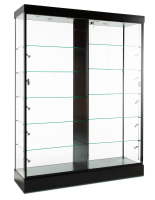 These Showcases Combine Tempered Glass, Internal Lighting, and A Black Finish For A Truly Modern Retail Display! 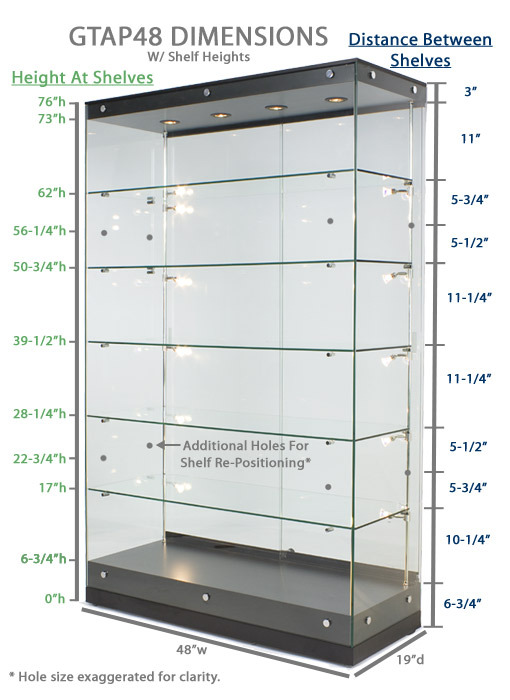 The quickest lead time you'll find on a trophy case this size! In-stock showcases ship out today if ordered before 1pm EST! 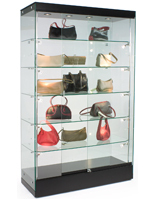 Ten (10) "swiveling" 20-watt vertical lights plus four (4) 20-watt top lights aim true, white light right where you want it; most competitors charge extra for vertical side lights! 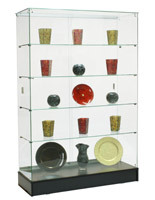 The trophy case has a unique design utilizing glass panels on all four (4) sides of your exhibit. 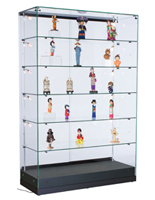 This display cabinet, showcase can therefore be positioned either in the center of a room or against a wall. 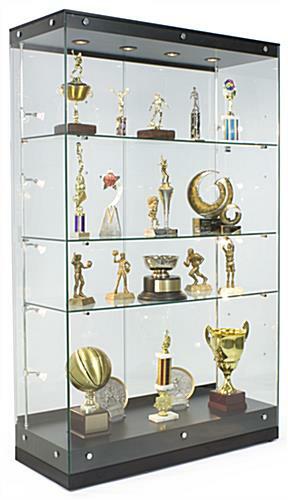 We even provide your trophy case with an exceptional lighting display to emphasize individual items on each shelf. 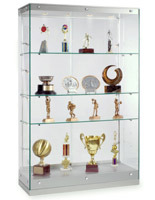 This high-quality showcase is an ideal award display for highlighting achievements and demonstrating pride in your school, family or company.